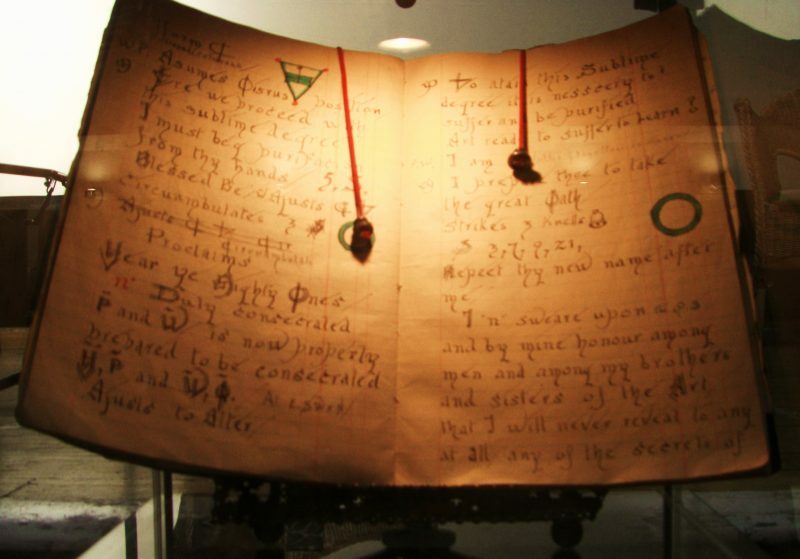 Macquarie University acquired the book of spells from an antiques dealer in 1981. Its history before that is unknown, but its translators believe it originated around the ancient city Hermopolis near what is now Al Ashmunin in Upper Egypt. The text is written on parchment and bound in a folded format known as a codex. The second part of the text is the spells. According to the translators, they are “… prescriptions or spells to cure possession by spirits and various ailments, or to bring success in love and business.” The spells are accompanied by drawings and diagrams. One exorcism spell contains an incantation to be said over pitch and linseed oil, which is used to anoint the possessed. A spell for business requires the name of the angel Eremiel to be written on pieces of broken pottery and placed in the corners of the door, inside and out. This is probably not a good spell since Eremiel watches over souls in the underworld. Choat believes the codex was used by a ritual practitioner who was not a member of any religious clergy and that it could have been used by both males and females. Because of its references to both Sethian and Orthodox Christian beliefs, it may have been a transitional document used as the Seths died out. If you want to practice your Coptic or treat your black jaundice, the codex is now housed in the Museum of Ancient Cultures at Macquarie University.